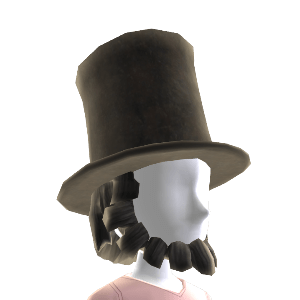 Today we see the release of another Freebie, This time it is the Free Abraham Lincoln Vampire Hunter Hat. Look for the advert on the Dashboard, watch the 10 second video and then it will take you to another screen then scroll over to the far right and it will say avatar item, click and download and here is what you will get! So far USA, let us know if you see it in your country. Remember sometimes you have to sign out and sign back in to get different ads. This entry was posted on June 4, 2012 at 9:52 AM and is filed under Avatar Related News with tags Abraham Lincoln Vampire Hunter, Avatar, Exclusive, FREE, Hat, New Release, Rare, Xbox, XBOX 360, XBOX Avatar, XBOX360. You can follow any responses to this entry through the RSS 2.0 feed. You can leave a response, or trackback from your own site. Not sure. But we have heard it is US only. Maybe that’s why. Thanks for the tip on logging in & out – another tip is check the games section of the dash – there are an additional 5-6 ads under that section. Yes, it’s still up. Go into the E3 wrap up where there is a bunch of E3 coverage. That’s where we saw it last. Is this freebie still available? Yes. Should be still available. Which advert am I looking for exactly? is still gettable as of july 4th? As far as we know it instill available. We haven’t seen it in a while so it might be over. But not 100% sure. We think this one is gone now. Sorry.